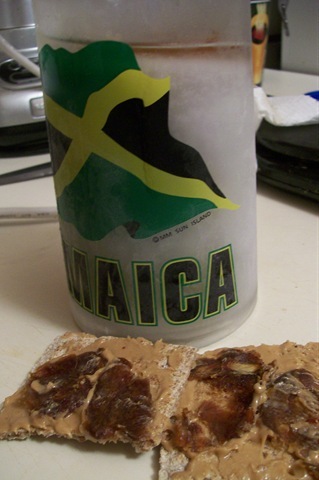 I woke up before dawn this morning to go for my “long run.” I fuelled with an iced coffee in a frosty mug, and a wasa cracker with PB and smooshed dates. Even though my iPod conveniently died right before I left, I still had a wonderful run. The beautiful pink sunrise over the river kept me occupied. According to Gmaps Pedometer, it was about 4.55 miles in 45 minutes. I’m happy with a 10-minute pace for my long runs. No need to push it as I get into longer distances. Unfortunately, my left ankle has been hurting all day. Whyyyyy does running hate me?? I don’t get it! I keep my mileage and speed low, run on even trails, have new fitted shoes, and do a combined warm-up/cool-down of walking for 20 minutes! Not to mention the ridiculous amounts of stretching, rolling and icing I do. The only thing I can think of is that I run like Phoebe from Friends. 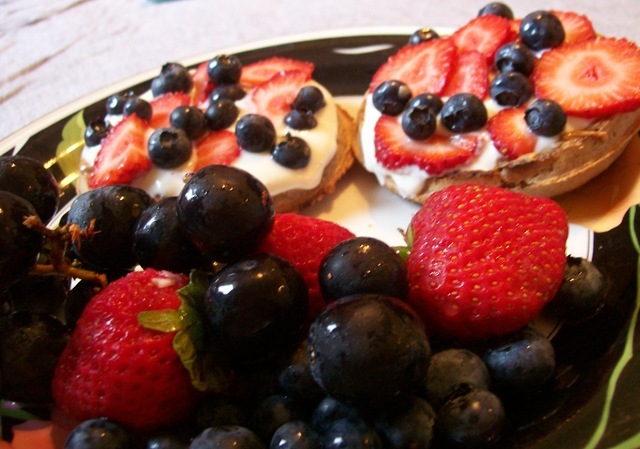 I ate a plate of fruit to make me feel better. 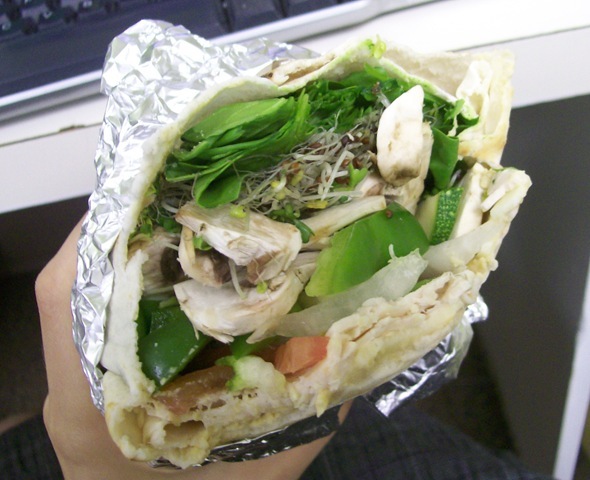 Then there was a bunch of working, highlighted by a giant turkey and hummus pita. One of my coworkers started bugging me while I was trying to eat this. I don’t know about you guys, but my meal time is my meal time. I hate being bothered while I’m eating!! How am I supposed to conduct pointless small talk when I’m up to my ears in hummus and spinach?? Not cool. Come back in 15 minutes. 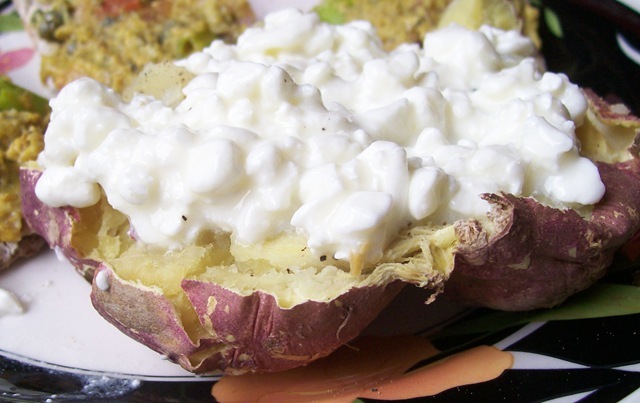 Let’s start with that cottage cheese mess. Underneath is what I thought was a purple sweet potato, much like the ones that grace April’s blog. But I was duped. I also randomly decided to eat a can of sardines in a mustard sauce that’s been in my cupboard for a while. 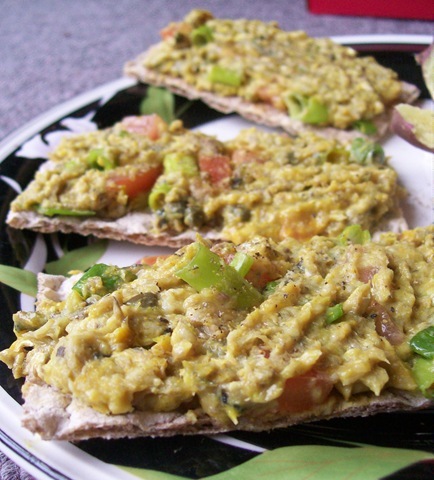 I mashed it up with some green onion, tomato and capers and topped it on wasa crackers. This was my first time trying capers and I really liked them! The vinegar/salty taste complimented the mustard sauce perfectly. 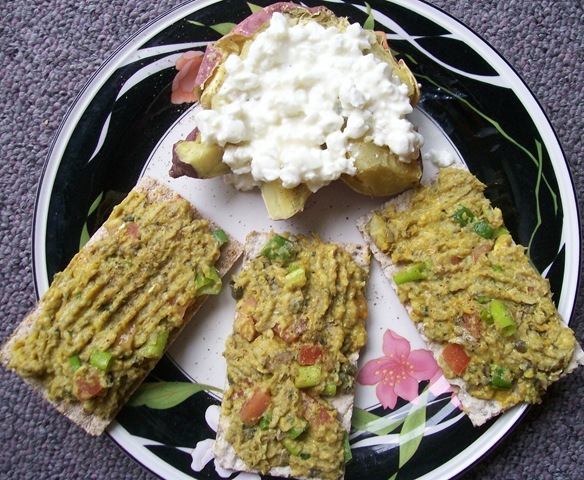 Overall, an odd and perfectly satisfying dinner! I love whipping things together on a whim. Plans shmans! So I thought it would be fun to follow up my rolling post by sharing my favourite stretches at the moment. They’re very reflective of the areas that ail me the most – hips, quads and glutes. 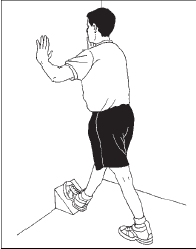 Except, on that last one, I put my hands around my shin to get a deeper stretch. Soooooo good! 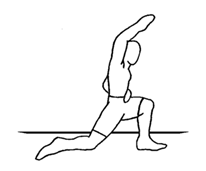 What are some of your favourite stretches? Include a link if you want, and I’ll put them up in a post tomorrow!